If you went a fancy dermatologist and said “I want to look my face to look younger”, the dermatologist would say “here is a prescription for a Retinoid”. All ages and skin types will benefit. Retinoids are a derivative of Vitamin A. They are proven to be a powerful anti aging skincare ingredient. Retinoids can reduce wrinkles, pores, discolouration, acne, repair loss of skin tone and sun damage. They can totally change the appearance of your skin. BUT! you have to know what you’re doing and be aware of the side effects, otherwise you’re going to come unstuck. Here is my guide on how to use this Wonder ingredient. 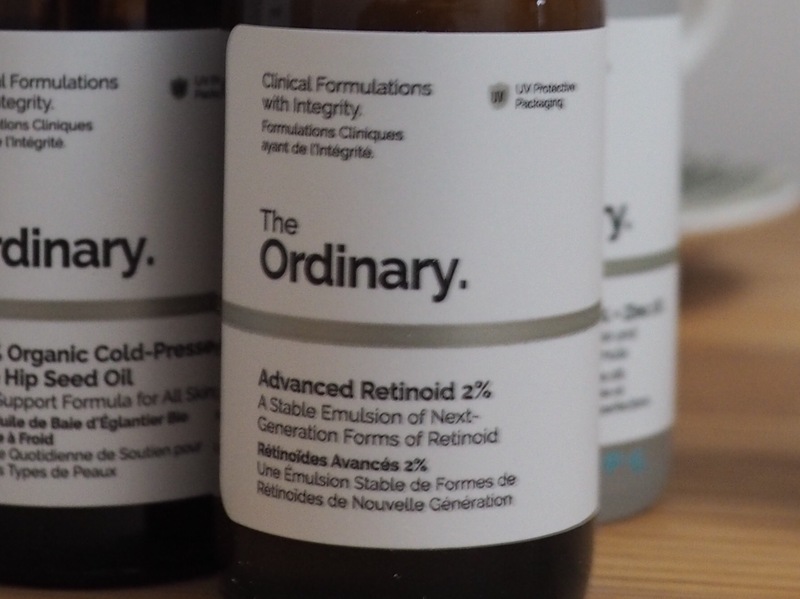 This post is about The Ordinary Advanced Retinoid Serum 2%, but the advice and information applies to all Retinoid creams and serums. It’s a bit sciency, just skip through it if you’re drifting. What do Retinoids do to the skin? Retinol and Retinoids are converted to Retinoic Acid by enzymes in the skin. Retinoic Acids trigger changes in the skin cells that result in an increase in cell turnover. The enzymes that break down collagen are blocked. The skin thickens (which is a good thing) and more Elastin and Collagen is formed. Studies has shown that Retinoids actually reverse the effects of sun damage and natural aging over time. The positive effects start being visible within a few days and increase over time. One study reported the patients using Retinoids had a rosy glow about them, as well as having smoother skin and fewer wrinkles. Retinoids can also help with acne, eczema and psoriasis. If you’re into reading scientific evidence, this review is excellent and gives a lot of information. I don’t want to get too technical but here’s some info about what to look for on the product label. 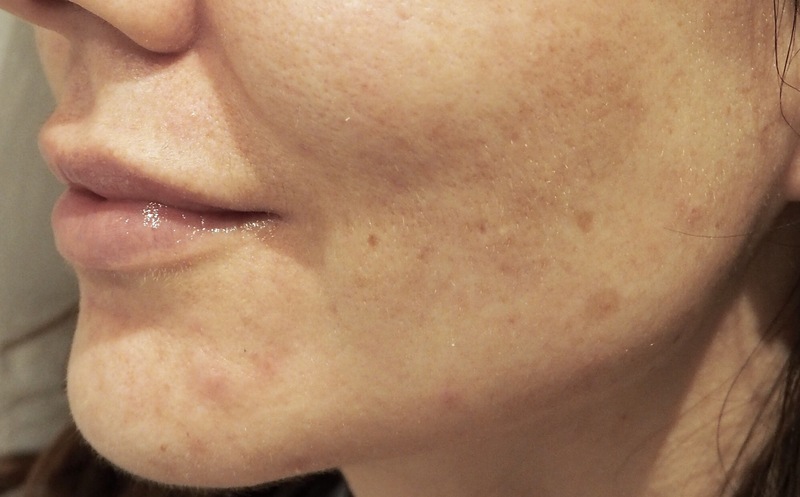 Retinoic Acid or Tretinoin is the strongest retinoid and is only present in prescription-only cream. The strength of a Retinoid depends on how easy it is for the skin to change it into Retinoic Acid. Retinol is pure Vitamin A and is two steps from Retinoic Acid and about a tenth as strong. Retinoids are molecules related to Retinol that vary in strength. It’s all very scientific and confusing. The Ordinary Advanced Retinoid 2% Serum contains 2 complimentary retinoids for maximum effect. They are formulated for maximum effectiveness with minimal irritation. There are surely other good Retinol products that I haven’t mentioned, but always check the percentage. You want to choose a product with 0.5% Retinol or higher to see a visible effect. If you look closely at the list you will see that The Ordinary Advanced Retinoid 2% is £8, which is £29 cheaper than the next cheaper Retinoid. That’s berserk cheaper. This is really important- you can’t go into this half-cocked. Retinoids cause irritation, flakiness, redness and a possible increase in spots to begin with- follow these steps and you might be okay. Start slow, really slow. If you rush in, smearing the wonderstuff on your face thickly and regularly, your face will turn into a digestive biscuit. Use it twice a week for a couple of weeks, then three times, then every other day. Work up to daily use over the course of a couple of months. Mark my words or you’ll be sorry. Use the Retinoid Serum with moisturiser. Keep your skincare gentle and supportive when you start. No acids or scrubs to begin with. Use sunblock. Retinoids make the skin much more sensitive to the sun. If your skin starts to get flakey then stop. Give it a break for a couple of days. Retinoids can be used on dry sensitive skin and have the same awesome effects, but you will have to very gently with it. If your skin is already dry, I would probably mix your Retinoid with your moisturiser just once a week to begin with. Then increase very carefully to see how your skin responds. Keep using It. 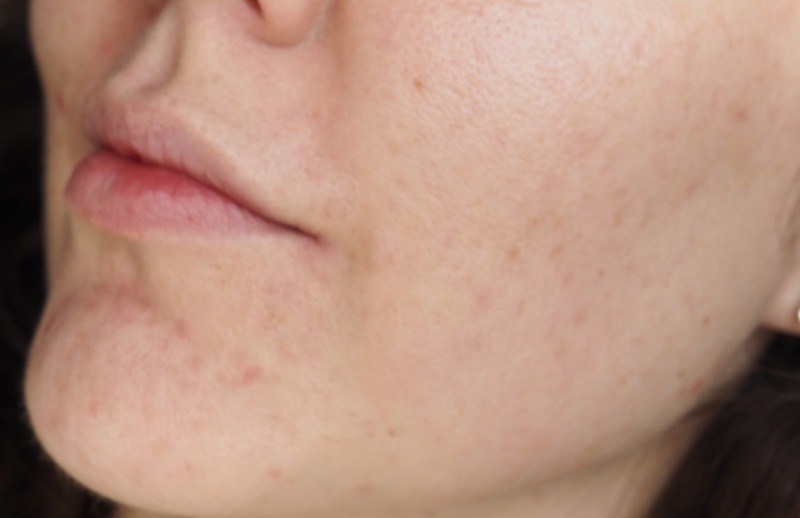 The effects of Retinoids increase over time. They are best used long term, like over a year, to show their full effect. 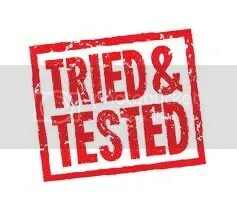 You should see initial results after a couple of weeks though. Retinoids work best when combined with other anti aging ingredients like Vitamin C and Glycolic Acid. But best to wait until the skin has well and truly settled before introducing these. 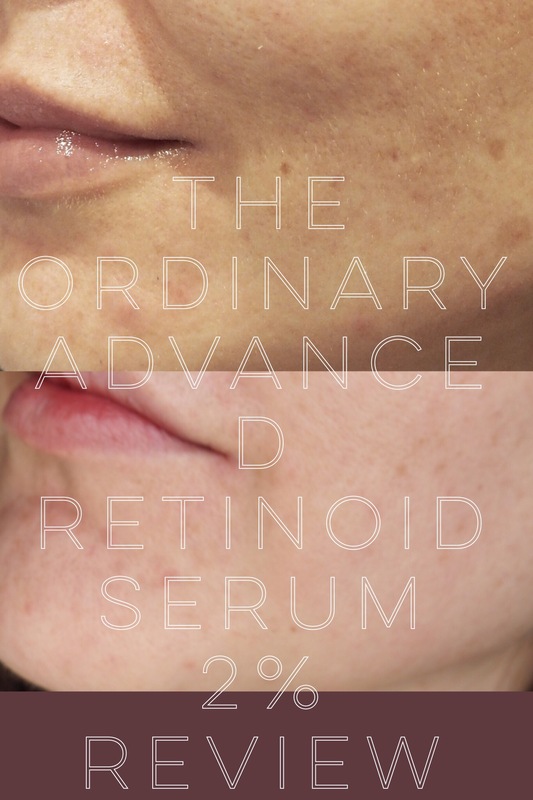 The Ordinary Advanced Retinoid 2% Serum comes in a brown dropper bottle. It needs to be brown to block UV light which would breakdown the Retinoids. The serum is a white fluid, a bit like a thin lotion. It has the unexpected aroma of chip fat. Which is a little off putting. The smell only lasts for a few seconds so it’s not a big deal. Advanced Retinoid absorbs well into the skin with no stickiness. The bottle should last a month and a half with daily use, so much longer than that if you’re starting slow. I was using quite a different Retinoid product on my skin before I started on The Ordinary Advanced. The other serum was making my skin pretty dry so I decided to switch to The Ordinary. I haven’t noticed as much irritation. I have noticed some peeling, just the top layer of skin. I assume that this is just because Retinoids increase cell turnover, so the dead top layer is lost more quickly. I’ve suffered a few bouts of dryness while using Retinoids but the improvement in my skin is very encouraging. Here are the Before and After photos. Apologies for the difference in lighting, but I think that the improvement is still obvious. The Before picture was taken before I started using Retinoids. I hope this post has been useful. Check out my other posts for more info on The Ordinary. * Update- I’ve been using The Ordinary Advanced Retinoid 2% Serum for 2 months and have experienced no irritation at all, it’s very well tolerated compared to other Retinoids I’ve tried. I’ve contacted Deciem and they recommend just using Lactic Acid and Retinoid at night and alternating the two, just using one active per day. You must use Sunscreen also! The Ordinary Advanced Retinoid Serum 2% is available from TheOrdinaries.com. It is such an informative post. I am always confused between retinol and retinoids. Do you suggest starting out with 1% concentrate and then go on with more concentrated serums? That digestive comment made me laugh! I’m currently using OTC retinols. One by La Roche Posay and I’ll be trying one by Indeed Labs soon. My LRP one doesn’t smell nice either!! I wonder if this is true of all OTC retinols? I think I need to try this! My skin, especially at the moment is so bad and I have no idea why! Maybe this could be my life saver haha! Hopefully, thank you for writing this! Great post and great results!! Such an interesting and thorough review! I’ve been wondering about The ordinary and so far I’ve heard nothing but good things AND it’s so cheap!! I’ve never heard of this before and my skin can break out quite badly so maybe I need to give this a go! I actually read this report and have found it very informative. I have a couple of questions regarding this product. So do you use it after or before toner? And after you’ve applied it, do you need to wait for 30 minutes (I always do this with my actives = aha & bha) before moving onto the next step? Hi, great article; thank you. Could I use this mixed with my eye cream do you think for wrinkles?? I bought it for a few fine lines under my eyes, and I’ve worn it for more than a week, the wrinkles seem to be deeper, it scares me a bit, but now I’ll try it for a prudent time, or until my bottle is finished, and Because if I do not see improvement, I will stop using it. This is such amazing transformation. I would love to try this Retinol. I am loving the 0.5 Skinceuticals at the moment. Yes, I’ve had that it’s great, the Ordinary is so much cheaper!